Wash and remove ends of asparagus. In a shallow pan bring about 1 inch of water to boil. Add asparagus and cover for 3 minutes. While asparagus is cooking melt butter and add lemon juice. 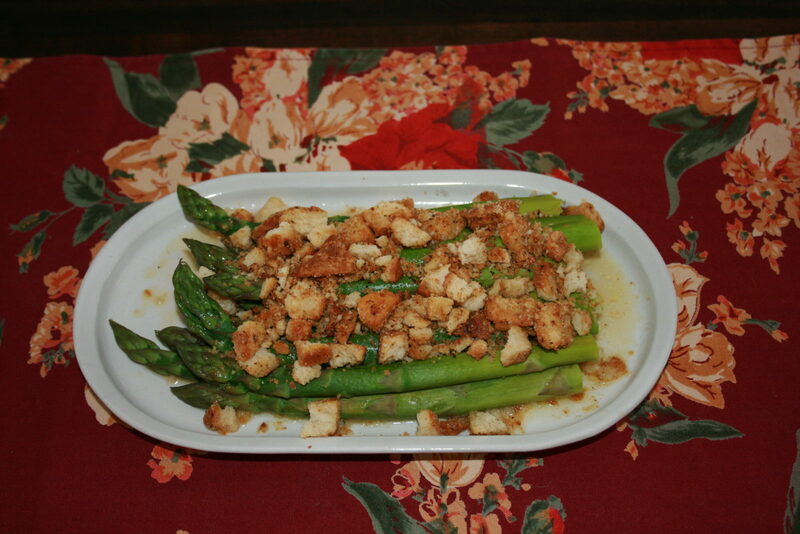 Remove asparagus to a serving plate. Drizzle with lemon butter. Salt and Pepper to taste. Sprinkle with crushed Olivia’s Parmesan Pepper Croutons and serve.